The City of Colwood recognizes the importance of expanding our pedestrian network to ensure that walking is a safe and convenient transportation choice for the citizens and visitors in the City. It will also help us achieve our broader objectives around transportation, as well as safety, health, accessibility, sustainability, environmental protection and developing a successful Colwood economy. Current plans focus on strategic expansion of the City’s sidewalk network, to make the best use of resources where they will have the greatest positive impact. Many sidewalks in Colwood are built through development of the adjacent land. When land along most roads is subdivided or rezoned, the developer must construct the road frontage to the City's current standard, which usually consists of paving, curb and gutter, grass boulevard and street trees, streetlights, and sidewalks. Since the developer is only required to make improvements directly adjacent to the property, there are often temporary gaps in the sidewalk spanning undeveloped properties. A Local Area Services project is a neighbourhood improvement paid for by the owers of the properties who will benefit from it. Services that may be accommodated include Road Improvements, Street Lighting and Sewer Service. Read more about Local Area Services. For inquiries about these Ministry of Transportation maintained routes and interchanges, contact the Saanich Area Office at 250-952-4515. 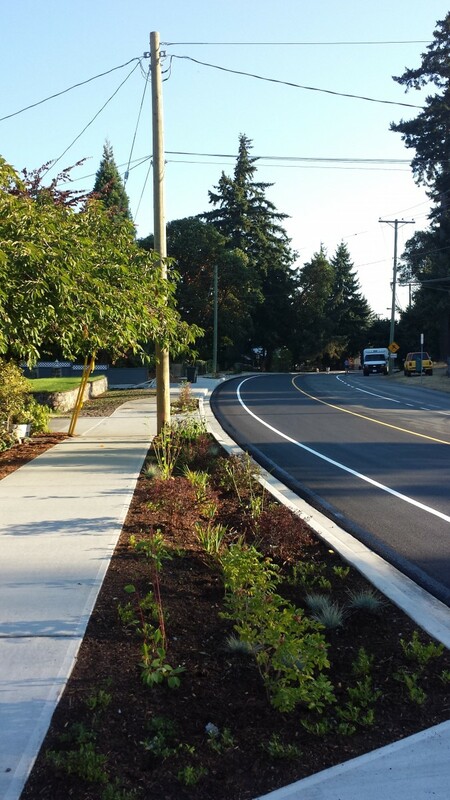 Contact the Engineering Department by email at engineering@colwood.ca or by phone at 250-478-5999 for more on sidewalks in Colwood.